The Zimbabwe Electoral Commission (ZEC) has signed a contract with a Chinese firm, Laxton Group of Companies to supply Biometric Voter Registration (BVR) kits, which are expected in Zimbabwe in the next three months. The introduction of BVR kits means Zimbabweans now have to register afresh as voters. The electoral body said previously police and ZEC officers on duty on polling day were allowed to vote in advance, this time voters were supposed to be at their wards where they were registered. 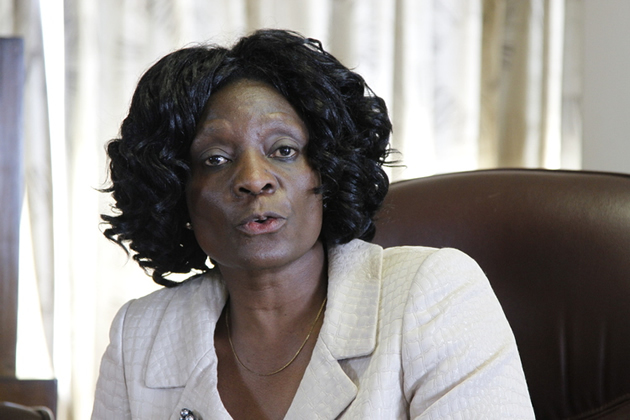 ZEC chairperson Justice Rita Makarau said this while addressing senior police officers in Harare yesterday on Electoral Laws and Policing Elections in Zimbabwe ahead of the 2018 harmonised elections. Police Commissioner-General Dr Augustine Chihuri, his deputies and officers commanding provinces, police directors and chief staff officers attended the meeting. Justice Makarau said if the supplier performed in accordance with the contract, the kits were expected to arrive in Zimbabwe by end of August. “We have now signed a contract with a supplier of Biometric Voter Registration (BVR) kits as of now and the kits should be supplied in terms of that contract. And we are firmly on our way to going biometrical in terms of voter registration. The contract was signed with Laxton Group of Companies which is from China,” she said. Justice Makarau said the firm was chosen out of a process that they initiated with the United Nations Development Programme and it was very transparent. “You may have heard quite a lot of outcry in the press about that company, but I want to assure this audience (the senior officers) that the group was chosen out of a process that we initiated with the United Nations Development Programme. This was a transparent process, it remained a transparent process because we did not change the process from what we had agreed upon with the United Nations Development Programme. “What happened later on in the process is that the Government decided to come in and fund the acquisition. So what changed was the source of the funding and not the process. So we are confident of the choices that have been made because that choice was made out of a process that we started independently with the United Nations Development Programme and which we continued with right up to the end,” Justice Makarau said. “So I want to assure this audience that we have a supplier of the Biometric Voter Registration kits. We sincerely hope that if they perform in accordance with the contract, within the next 90 or so days we should have the kits in the country,” she added. Laxton Group has been active in Africa after it supplied 8 000 BVR kits and instant plastic card issuance kits to Tanzania in 2015. It has also worked in Guinea, the Democratic Republic of Congo and Mozambique, where it reportedly supplied BVR kits, generators, batteries and other accessories for voter registration and elections. Its system has also been used on identifications cards in Malawi. Justice Makarau said following the introduction of these BVR kits, every Zimbabwean should go and register afresh as a voter. She said people should present themselves to be registered since it would be a new registration exercise, different from the past. Fingerprints and a digital photo, among others need to be taken during the exercise. She said there had been changes on the electoral laws, which included the scrapping of the special voting and that voters would only be able to vote at a polling station where their names were registered. Justice Makarau said members of the security sector and ZEC officials who were deployed for duties away from their homes, would not be able to vote. “All officers of the Zimbabwe Republic Police and all officers of the Zimbabwe Electoral Commission deployed away from home on polling day will not be able to vote. Special voting of early voting has gone, which means that each and every one of us has got to be in their ward and at home or near home on polling day,” she said. Justice Makarau said the general duties of the police in elections were provided for in terms of the Constitution of Zimbabwe and they included detecting, investigating and preventing crime, preserving the internal security of the country, protecting and securing the lives and property of the people. She said maintaining law and order and upholding the Constitution and enforcing the law without fear or favour were some of the duties. She said the force had a role to maintain law and order in the election cycle and this was done without fear or favour. Justice Makarau said the broad power given to the police also included the mandate to investigate all the electoral offences that were stated in the Electoral Act. “The Electoral Act incorporates a large number of offences including those relating to voter registration issues, including those that relate to voting rights, candidate nomination issues, bribery, among others,” she said. Justice Makarau said police also have an active role to play during the conducting of elections and some of them included voting by illiterate or physically handicapped persons. She said the police officer on duty at a policing station had a duty to witness the marking of ballot paper for an assisted voter only in cases where such a person had not brought any person of their own choice to mark the ballot paper on his or her behalf.